I’ve written about the challenges I have been facing with anchors on FontForge earlier. To move away from that even if the problem is still unresolved, I have focussed my energies on the bold weight of the basic Latin character set of Cantarell. Since I have seen this typeface, even in the specimen that was submitted at the University of Reading, I’ve felt that the bold weight of the design doesn’t work as well as it could. First, it feels too wide. 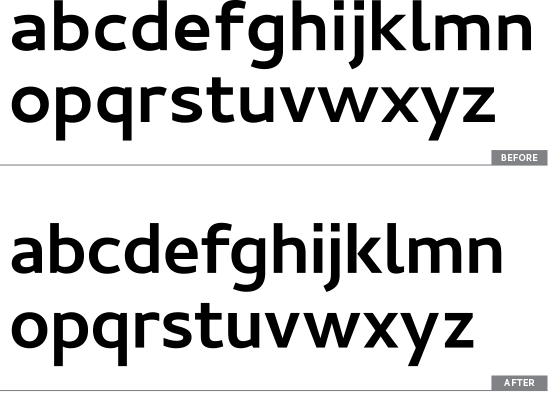 So much so that when seen in the context of the regular, it looks like a different width altogether. Second, many shapes look clunky and the quality of their drawing could do with some improvement. Some refinements in the joins, especially some subtle thinning would make the shapes much better. In addition, the letters with diagonals like the v, w and y look much lighter than the rest—an issue I also found in the regular. Finally, because both weights of the typeface have seen several changes over the years, including the ones I have made during the course of the internship, their designs have diverged. Improvements to Cantarell Latin Bold. With these issues in mind, I have completed the first round of changes to the lowercase basic Latin character set. This includes not only drawing, but also respacing these glyphs. There is certainly more to be done, in the spacing department in particular, but the improved glyphs already look like a good start. 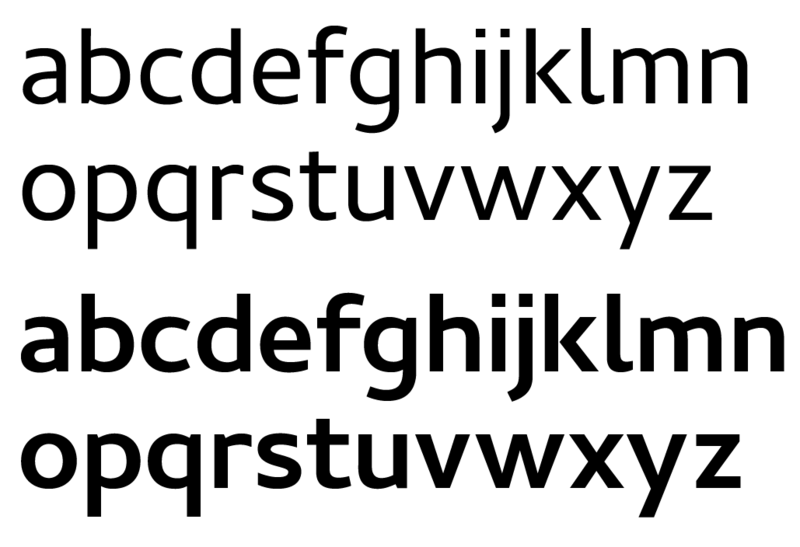 The new version of Cantarell Bold with its Regular counterpart. Great job! I like that you made the lower case “k” more consistent with the k in the regular font as well. It looks great. I’ll have to remember this typeface for future projects.